I wrote this story for “In Sudan” magazine June 2010 edition. To see the full magazine please click on the image below & my story is on page 14. Touted as having huge potential for post-war earnings in Southern Sudan, fishing is a rapidly growing business in the riverside town of Malakal. “Malakal people like to eat fish. We can eat fish everyday because it is cheaper than meat,” noted Upper Nile State Director of Animal Resources and Fisheries Administration and Finance Cornelius Aywok. North Malakal fisherman Abon Aton makes an average of 80 to 100 SDG ($32 to $40) selling his catch at Hai Matar market. “The fishing business is good in Malakal,” said Mr. Aton. Depending on their size, he sells six to eight tilapias for 5 SDG ($2). Other fish he may reel in from the White Nile waters include perch as well as indigenous fish like Beyada, Bajrus, Bitkoya-Citharsinus and Dabis-Labeo. The price of fish varied depending on its state, said Mr. Aywok. His department had set prices of 10 SDG ($1.4) for 1 kilogram of fresh fish, 3 SDG ($1.2) per bundle of sun-dried fish and 1 SDG ($0.4) for one wet, salted fish. 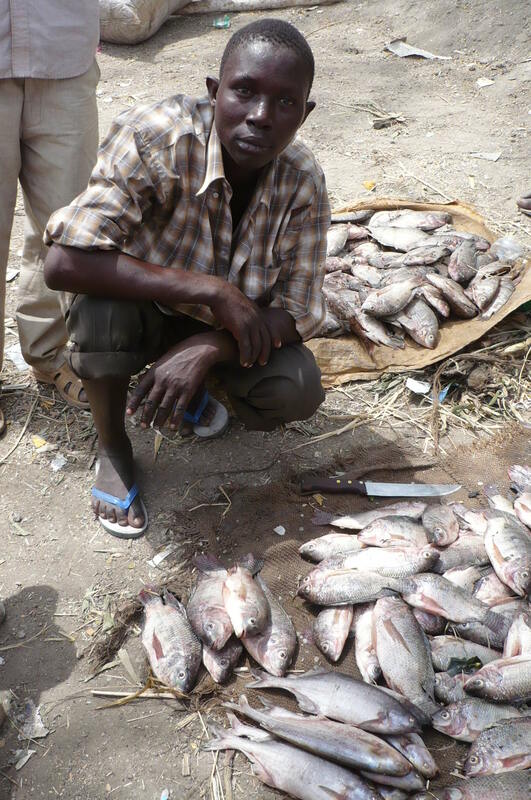 James Aban with his daily catch in Malakal. To regulate the industry, Mr. Aywok noted that the department issued an annual licence to registered fishermen for SDG 96 ($38.4). Fishermen who failed to obtain licenses, generally those living in the town temporarily, were taxed 5 per cent on their earnings, he added. “If one non-licensed fisherman wants to sell 50 kilos of his fish to the market, he has to pay 5 per cent of the total price … to the State Fisheries Department. ”The department holds monthly meetings with team leaders from North, Central and South Malakal fishing groups to discuss current activities, challenges, and support they may need from the government. But the state government has only been able to offer fishermen limited assistance. “We don’t have a budget to support them with fishing equipment like hooks and nets,” Mr. Aywok said. The department has also faced obstacles in developing fishing into a revenue-earner for the state. But Malakal fishermen are receiving some support from UN agencies and nongovernmental organisations, including the Food and Agriculture Organization (FAO), World Vision and International Relief and Development. 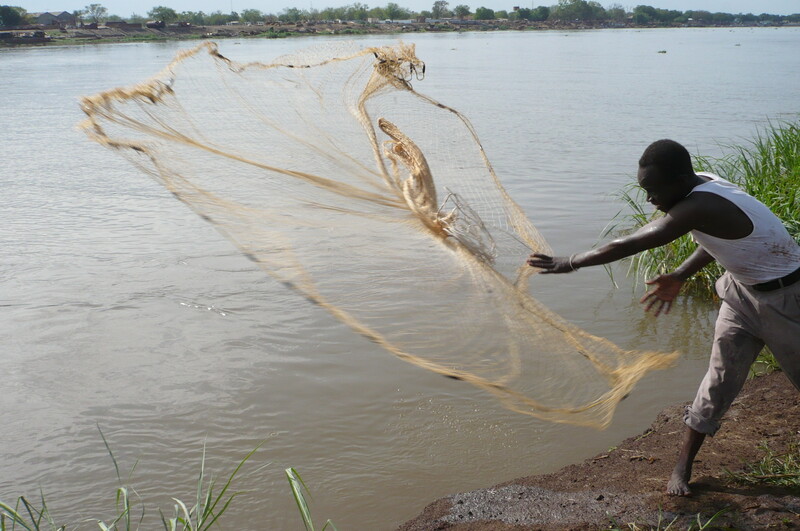 FAO distributed fishing twine and hooks to 10,000 Upper Nile households in 2009. “We expect them to be able to produce sufficient food for themselves and produce income by selling it to the market. This may create employment too, once they can develop businesses,” said Mr. Awet.